I've had some teachers message me and ask if there is a way that I can incorporate the multiplication table into my wheel foldables. Well, I did and I'm loving it! I have created two wheel foldables. 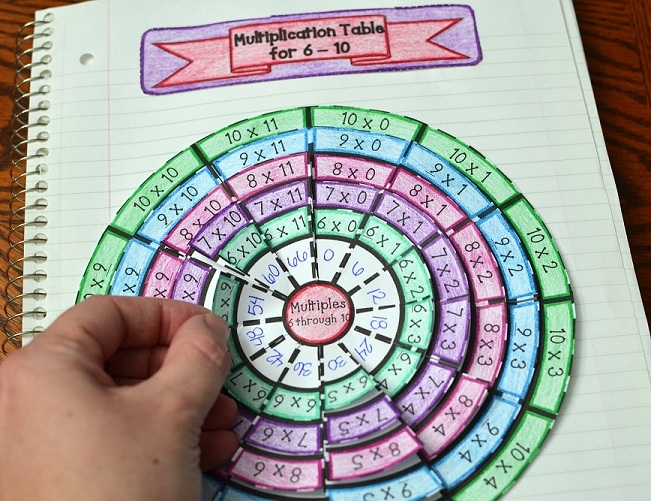 The first foldable has the multiplication table for 1-5. 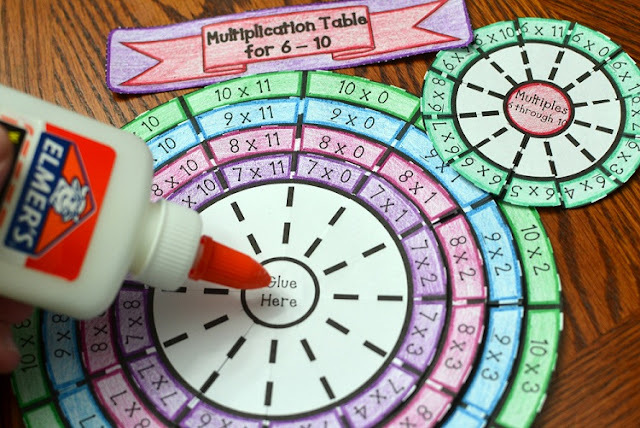 The second foldable has the multiplication table for 6-10. I sell each foldable separately, or as a bundle. 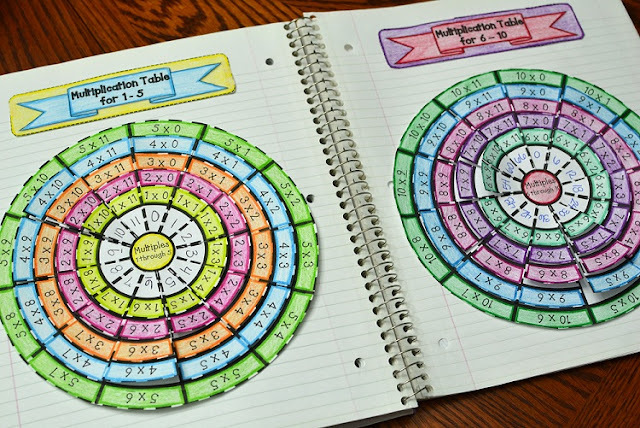 I LOVE these wheel foldables because they are so easy to construct and the best way to study! 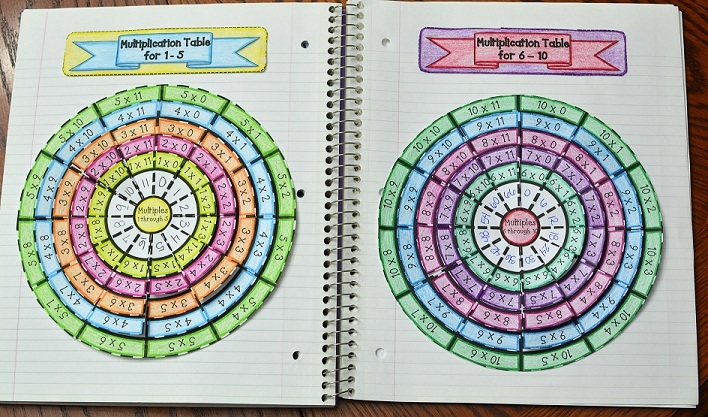 You can have students use these foldables as a handheld study tool or glue them into their interactive notebooks! 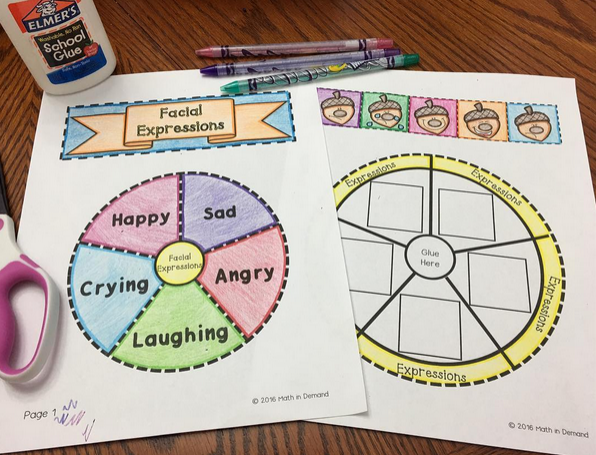 I am VERY thrilled to announce that I am going to start creating kindergarten resources! In addition to kindergarten, I will be making my way up to 6th grade. 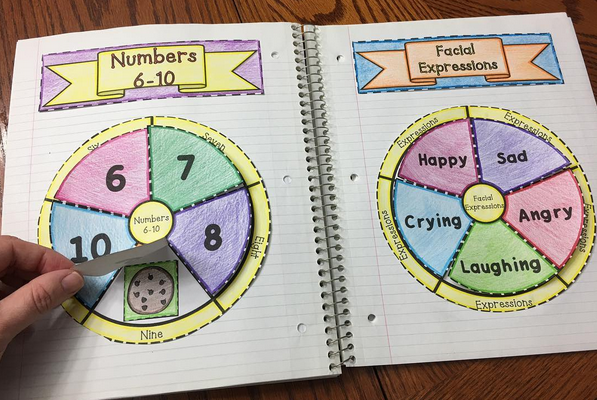 I have started making kindergarten resources with my wheel foldables!!! These foldables will be in my store very soon! If you are interested right now in purchasing them, please leave me a comment below and I will email you the link as soon as it's up! I am SO excited to announce that I have a new website!!! 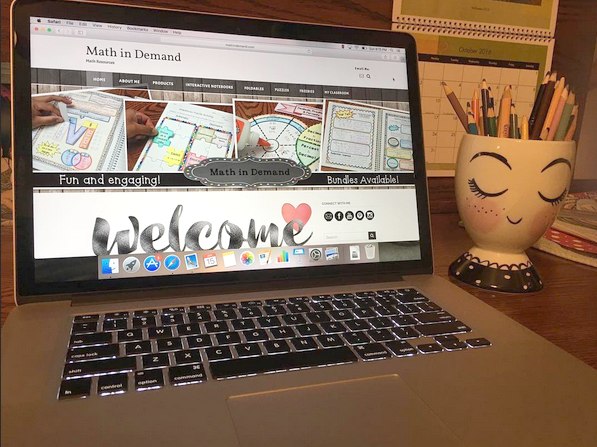 My website has a lot of valuable information about how I implement my interactive notebooks, activities, and puzzles into my classroom. You can also see my classroom! In addition, you can sign up for my newsletter to receive freebies, information on new products, and sales! 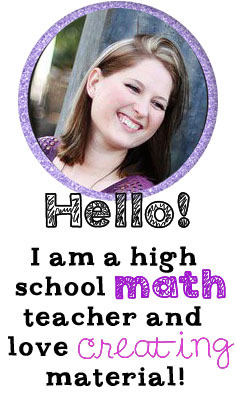 You can check out my website by going to www.mathindemand.com. 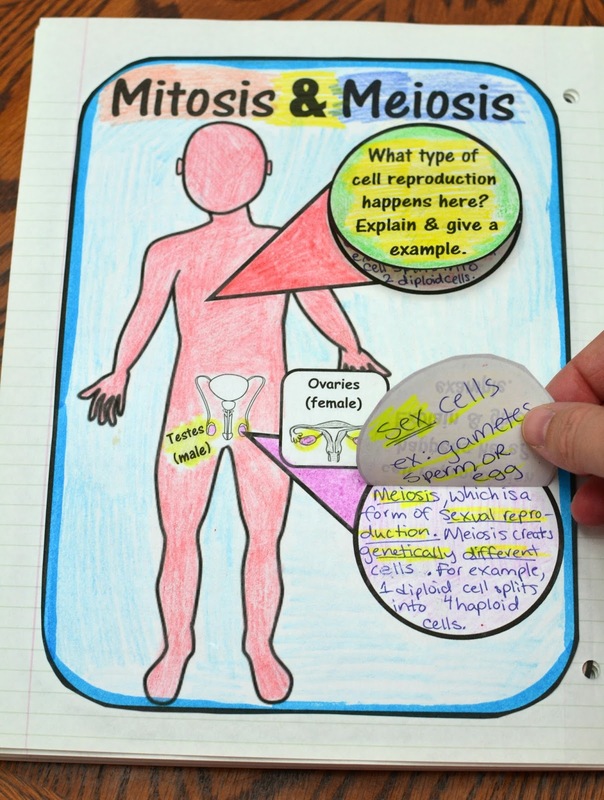 Students will be constructing a foldable on where mitosis and meiosis occurs. Did I mention that it is FREE?! This is a great foldable because it shows exactly where mitosis and meiosis occurs. 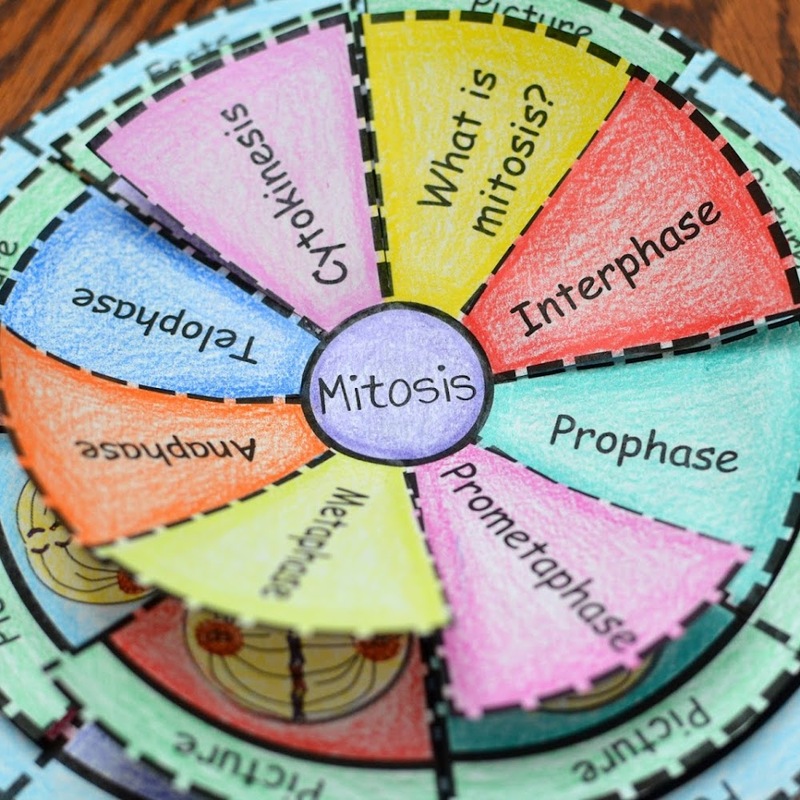 Students usually get mitosis and meiosis confused. This foldable will help with that confusion. 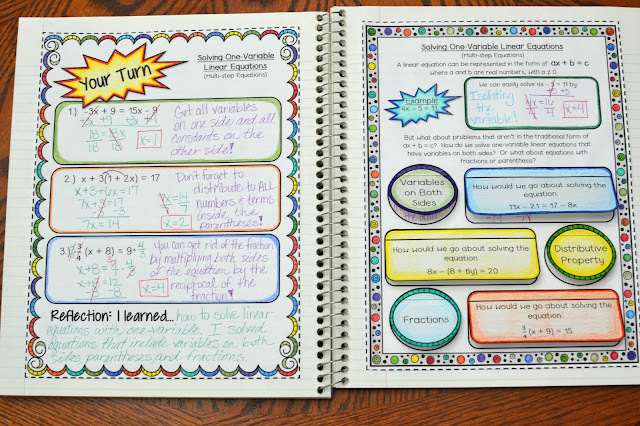 I also love that it fits perfectly into interactive notebooks! 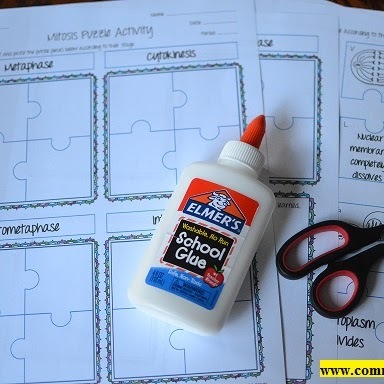 You can get this freebie by CLICKING HERE. 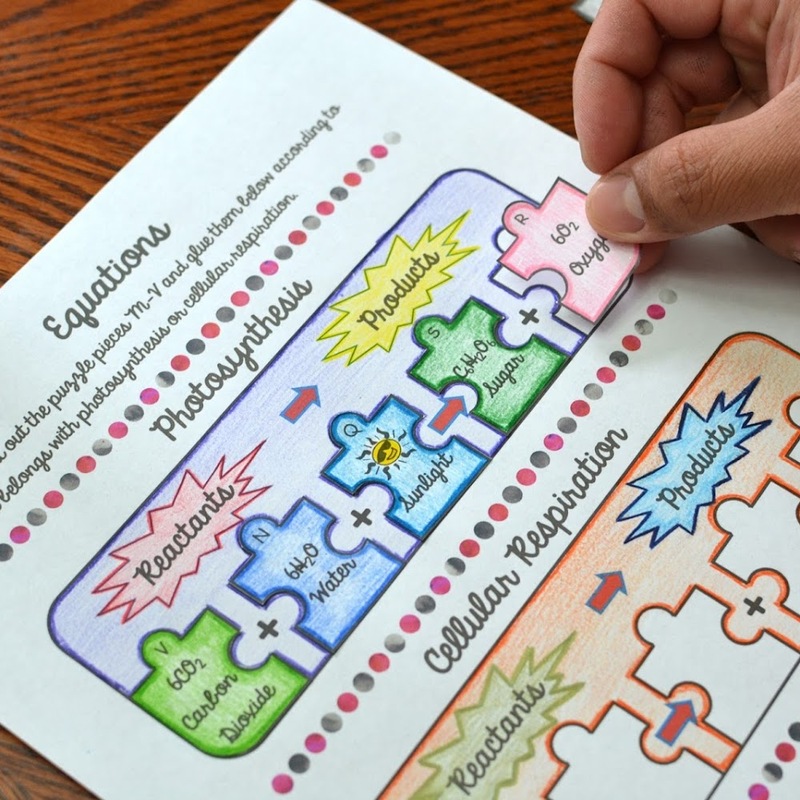 If you like this freebie, please check out our science interactive notebook on cells by CLICKING HERE. 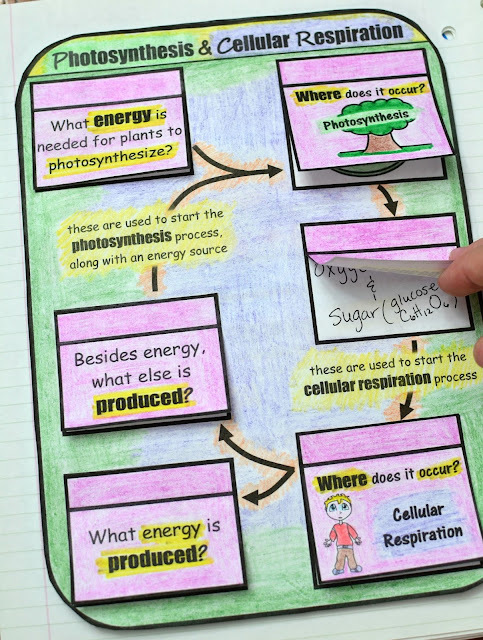 This foldable COMPARES photosynthesis VERSUS cellular respiration. In this foldable, students compare what each process needs and what each process creates at the end. This foldable is amazing and can be turned into a 1 page or 2 page foldable depending on your class or individual student needs. You can purchase this foldable by CLICKING HERE. Students will be constructing a foldable on order of operations. This foldable has multiple layers. The first layer is the title and the second layer is an example. A blank template is included. You can decide if you would like to print the foldable with the answers already given or you can have students fill in the answers (great for differentiation). Students will be constructing a foldable on complete dominance. 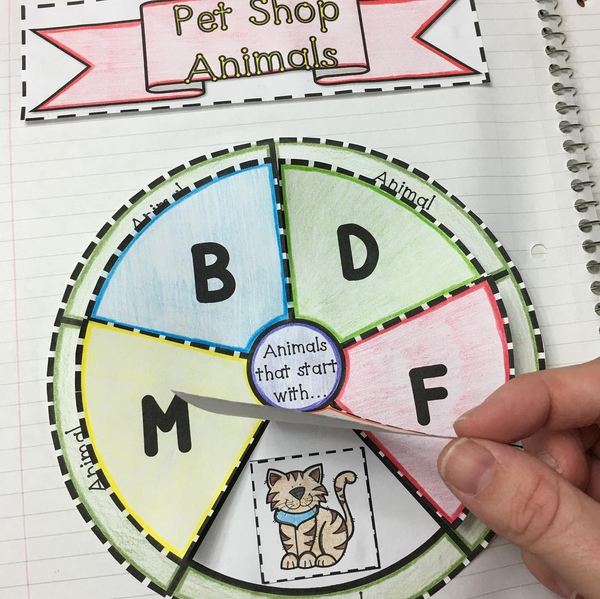 The foldable includes multiple layers that will have students completing Punnett Squares, and determining the genotypes and phenotypes of the offspring. Vocabulary included is homozygous and heterozygous. I am SO excited to post about my Pythagorean Theorem wheel foldable. 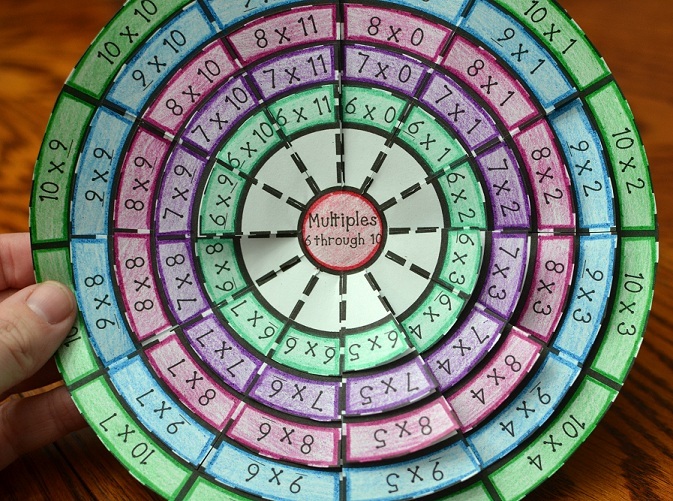 I have had multiple teachers request a wheel foldable with the Pythagorean Theorem. I finally had some time to complete one and I am in love with it! This foldable can be used as a handheld study tool or placed into interactive notebooks. There are multiple layers to the foldable. The first layer has students identify the given information from the triangle. The second layer has student's solve the problem. The third layer has student's check their answers. 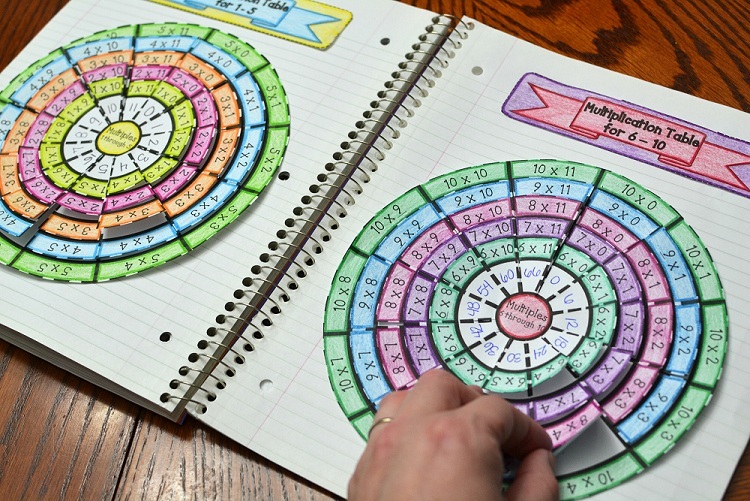 You can purchase my wheel foldable on the Pythagorean Theorem by CLICKING HERE.